Simply put, a neighbourhood residence association is a group of residents and property owners who advocate for and organize collective neighbourhood activities. They seek to make changes and improvements to your neighbourhood’s: safety, beautification, and social activities for instance. They are often consulted by the municipal government, act as the primary resource to drive community-enhancing change in your neighbourhood, and are a powerful enabler to help you get the most out of the community in which you live. · There are plenty of opportunities to volunteer for an organization that directly influences where you and your family live. So, how do you find your neighbourhood residents’ association? In Vancouver, there are 27 community and residents’ associations the list of which can be found on the Coalition of Vancouver Neighbourhoods website. Once you identify which one represents your neighbourhood, it is straight forward to become a member. The process is generally simple: plug in some contact information and pay a small administration fee. If you aren’t a Vancouver resident, simply Google your city name along with neighbourhood association and you will able to quickly find your own! Particularly when you have recently moved into a neighbourhood it can be difficult to meet like-minded people nearby. The members of Neighbourhood Association tend to be service driven people that, like you, want to make a positive impact on their community. Further, whilst working together with these groups you’ll likely make great friendships because a wealth of scientific research points to fact that the strongest relationships are built upon shared experiences. It can be frustrating to see issues in your neighbourhood and areas needing improvement without the resources to fix them. Joining your Neighbourhood Association enables you to initiate and influence discussions about what needs to be improved in your neighbourhood but, more importantly, it guides dialogue toward realistic conversations about how to achieve these improvements and provides resources to complete them. Neighbourhood Associations present a wonderful opportunity to organize community building events that bring your neighbourhood alive. 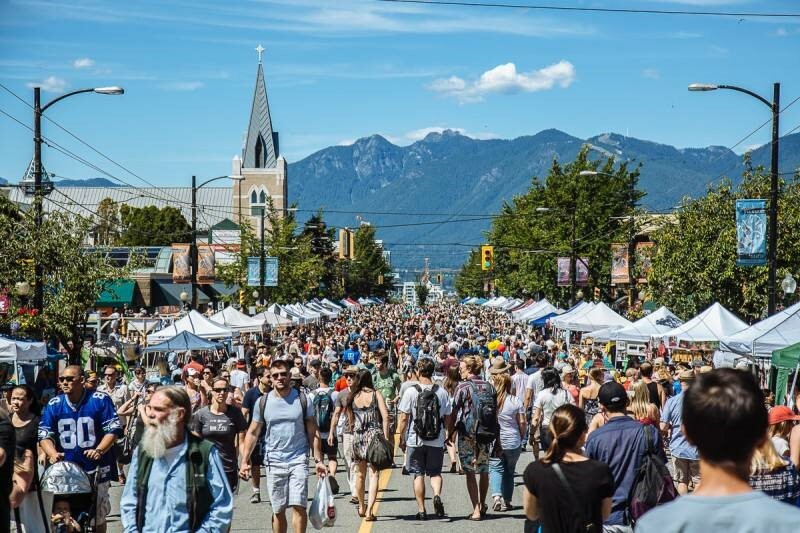 Think Italian day on Commercial Drive; car free days on Denman and Main St; and Khatsalano Festival in Kitsilano. Working together with fellow Neighbourhood Association members gives you a great chance to get know your neighbours and plan an event that the whole community relishes. This aspect can also improve your employment opportunities as employers look more and more for people that volunteer their time for the community. Your Neighbourhood Association enables you to organize those festivals your children love attending, become more comfortable in the safety of the area surrounding your home, and ensure that the local parks your children play in are clean. Be a true role model for your family by trying to better the community within which you’ve chosen to reside. This will set a precedent for your children to become positive figures in their own communities in a few decades time. Whenever the city develops an Official Community Plan (OCP) they hold open houses to gather input from residents and local business, but they also consult the Neighbourhood Association directly. Recently completed neighbourhood plans include the Cambie Corridor and Marpole. Soon the Broadway Corridor will be a major focal point. It extends from Commercial Drive, through Mount Pleasant, Fairview, to Kitsilano, and it may be extended all the way to the University of British Columbia. The Broadway Corridor consultations will ask residents what kind of density, development, and amenities they want to see as the Skytrain brings thousands of excited new homeowners to these neighbourhoods. If you want to be part of the change, then get involved in your Neighbourhood Association. Get involved with your community by joining your neighbourhood residence association and volunteer, lead neighbourhood projects, or attend neighbourhood events. In doing so, you’ll not only strengthen your community but you will also make some great friends and take pleasure in the fact that your neighbourhood is a better place than you found it!